“Everyone said the party was amazing and I had the most brilliant time! I’ll also, of course, be recommending you to everyone! You were all brilliant! 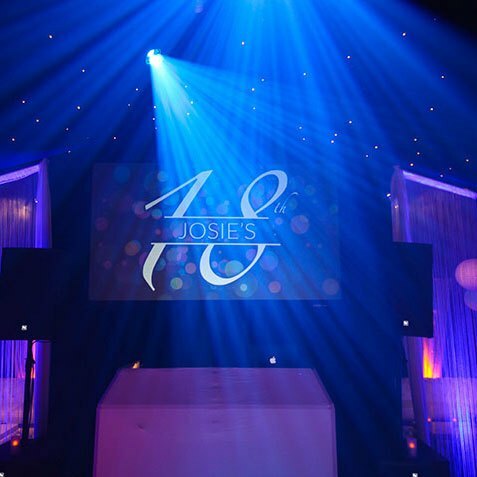 Josie’s Mum, Sue, approached MGN events, to plan her daughter’s 18th birthday in a marquee in their garden at home. Sue wanted to create a vibrant & unique party for 80 party guests. The party had to include great food, great music and ensure it was a memorable night for Josie & all her friends! 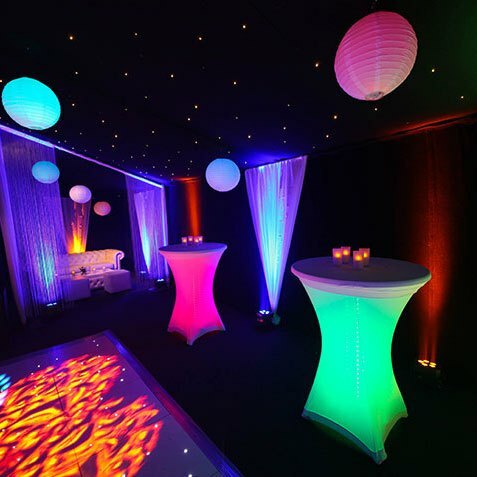 After visiting Sue & Josie at their home in St George’s Hill, in Weybridge, there were lots of ideas circulating about creating a stunning nightclub marquee. With a good size garden the team could get creative with not only the inside of the nightclub marquee but also the outside garden. The vision was to make a party that would not only make an instant impression on all the guests, but leave one in their mind for the rest of their lives. So with the use of our production team’s lighting & our designer’s creative flare, the LED masterpiece concept was set into motion. Guests were greeted by our security team at the front gate who were managing the guestlist – keeping out any unwanted guests, and led towards the marquee at the rear of the garden by flame torches, passing the fabulous mobile pizzeria on their way. 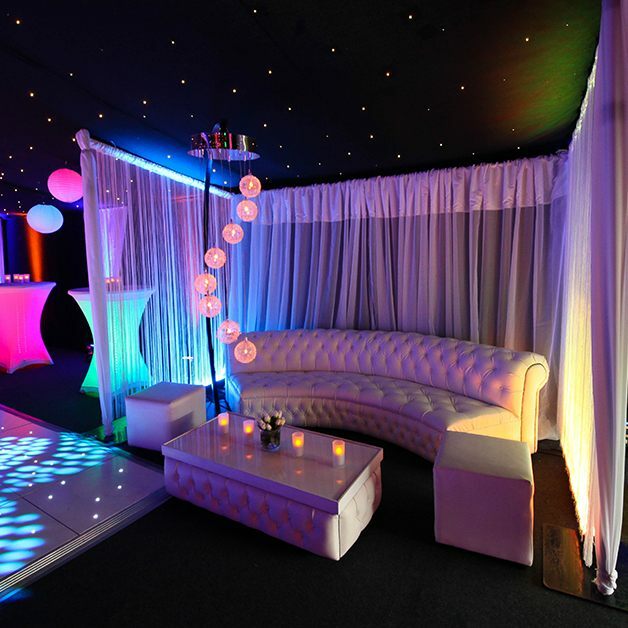 Entering into the large clearspan marquee, the guests found a haven of vibrant lights and stunning furniture! Cocktails created by our incredible molecular mixologists wet the appetite of the elegant crowd before being beckoned to the dancefloor by the great music and twinkling dancefloor. Sue really wanted to add a personal touch to the evening, so speeches were worked into the nights plan & our video package with HD projector ensured various photos were shown on the large screen slide show, which not only impressed Josie, but gave the guests a chance to see themselves in their glad rags captured by our roaming photographer! Food was next on the agenda & freshly baked pizzas (Tip: Great for soaking up alcohol) including a speciality one named after Josie definitely hit the nail on the head. Extra pizza’s were made and boxed up so guests had a late night snack. Thank you so much for everything! Everyone said the party was amazing and I had the most brilliant time! Thank you for all the photos! I’m certain everyone will love them! I’ll also, of course, be recommending you to everyone! You were all brilliant !